Frank Matcham may have been the greatest theatre architect of his – or any – generation. Up and down the land from Aberdeen, Belfast, Blackpool, Bristol and Buxton to Glasgow and Richmond in south-west London, and across the West End, there are enduring examples of his fantastic ability to create large, traditional theatre spaces that combine an epic sense of occasion with the simple practicalities required of an entertainment building, like offering great sight lines and the perfect relationship between stage and auditorium. Since most of these buildings are now a hundred years old or more, not all of them are in the greatest condition. The London Palladium, for instance, one of his defining London masterpieces, may have had its public areas recently spruced up, but the auditorium remains slightly dour – it needs a major unveiling of the architectural splendour hidden under decades of ugly paint. 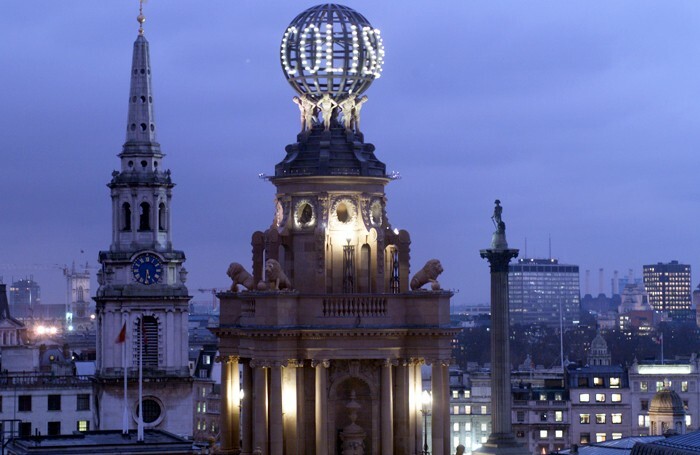 Cameron Mackintosh has now taken ownership of the Victoria Palace, and when Billy Elliot vacates the theatre next month is being closed for a major refurbishment: would that the London Palladium followed suit. But my two absolutely favourites of his buildings have, thank God, had major facelifts: Hackney Empire (which I’ll save for another day) and today’s entry, the London Coliseum. This is simply one of the most epic theatre spaces in London – not just in terms of seating capacity, but in its palpable sense of occasion every time you enter it. But if its auditorium is in tip-top shape (even a dozen years later, it still feels luxurious), ENO is alas not, at least not financially or administratively. A year ago the company was put under ‘special measures’ and its status as a national portfolio organisation was removed by its main funder, Arts Council England. It sought to put its house in order – which led to the departure of artistic director John Berry – and is now locked in a dispute with its chorus, whose terms it is seeking to radically change as it tries to reduce costs. But it also remains the most accessible opera company I know anywhere, not just for the very affordable balcony that also has great views and sound (unlike the remote amphitheatre at Covent Garden) or its raison d’etre (singing operas in English) but also for the adventurousness of its productions. Meanwhile, ENO is engaged, with producers Michael Grade and Michael Linnit, in expanding the remit of the house to musicals, which once had a home here in the 40s and 50s, with a revival of Andrew Lloyd Webber, Don Black and Christopher Hampton’s Sunset Boulevard playing there from April 1. Glenn Close will be reprising her Broadway turn as Norma Desmond from 21 years ago, opposite Michael Xavier as Joe Gillis. I can’t wait to see it again.